Should I rent or buy? How much home can I afford? What's the market like near me? Build your dream home at this great location in the sought after Newbegun Land Subdivision. You can take in beautiful views of the water from this location. Only minutes from the Coast Guard Base and a few more minutes to downtown Elizabeth City. 100% Owner Financing available on some lots. Call for details and do not miss out on this opportunity! We are standing by to assist you. Start the mortgage process now with Towne Mortgage. The approximate monthly principal & interest payment for this property would be $125.95. This payment is based on a 30-year loan at a fixed rate of 4.000 % - APR 4.081 % with a down payment of $1,375. Actual lender interest rates and loan programs may vary. Loans with lower down payments are available. Be the first to know when properties in this area and price range hit the market. 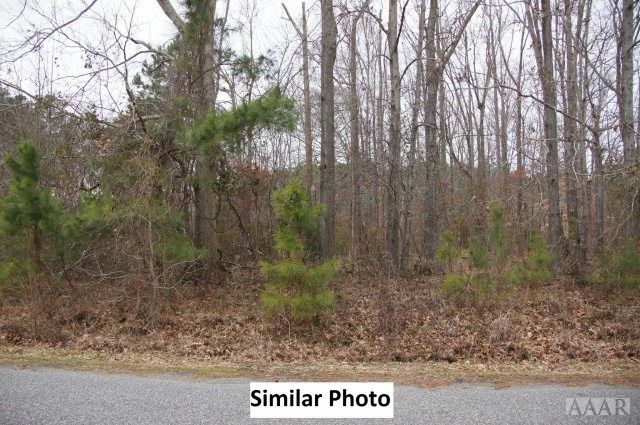 00000 Small Drive, Elizabeth City, NC 27909 lots and land offered for sale at $27,500. Answer some questions to find a loan originator who can help. Are you a first-time homebuyer? a Howard Hanna sales associate? If yes, enter your agent's name below. Start by typing their first or last name, then select their name when it appears. then click the arrow to continue. a Howard Hanna Mortgage Loan Originator? If yes, enter your loan originator's name below. How will you use your new home? This will affect your home loan options. a veteran or active military? Our Veterans Administration (VA) loans are available at competitive rates for those who have served. What's your monthly budget for a mortgage payment? It's okay to estimate. Our Mortgage Loan Originators can help you find and compare home loan rates. Most loans require at least 3% down. This helps determine the amount you qualify for. Have you had a bankruptcy, foreclosure, or short sale in the past 7 years? Your information is protected by TLS encryption. Nice to meet you. What's your email address? phone number to reach you? By clicking "Submit" (1) I authorize Howard Hanna Mortgage to send the information I provided to a participating lender and (2) I authorize a participating lender and Howard Hanna Mortgage to deliver or cause to be delivered to me at that phone number, telemarketing calls which may use an automatic telephone dialing system, an artificial or prerecorded voice or text message. I understand that I am not required to provide this consent and authorization and it is not a condition to qualify for a loan or receive any good or service. I also acknowledge that I may receive emails with mortgage-related information. Learn more about us at howardhannamortgage.com.